One of my favourite Christmas presents this year was from Jeremy. 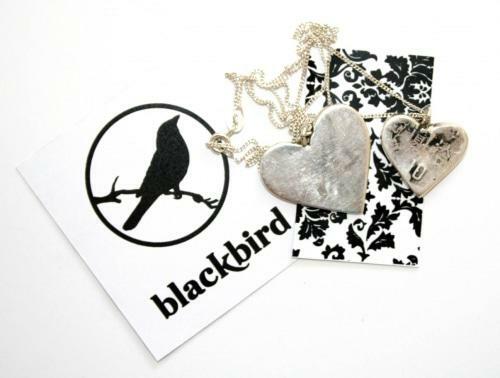 He got me a necklace made by Chloe who is the jewelry designer behind the label blackbird (and who has a stall next to mine at the biscuit mill). 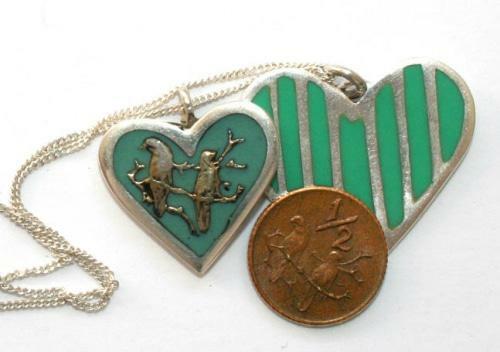 This necklace is a two-piece: a big heart with stripes and a smaller heart with two sparrows (a design taken from the old South African 1/2Â cent coin). I emptied my mom’s coin jar in search of this one to show you (see below). 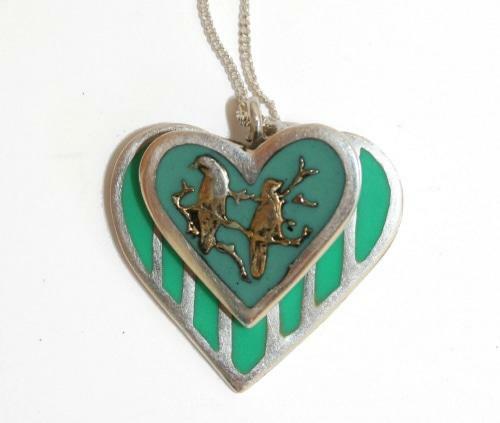 This entry was posted in Blog and tagged hand made, Jewelry, necklace, old 1/2cent coin, south africa coin.